If you’ve been searching for the perfect cup of coffee, you have probably heard about a number of coffee brewing methods. Well, there are various methods of preparing coffee and thanks to the variety of coffee beans and equipment; coffee brewing now has turned into an art. 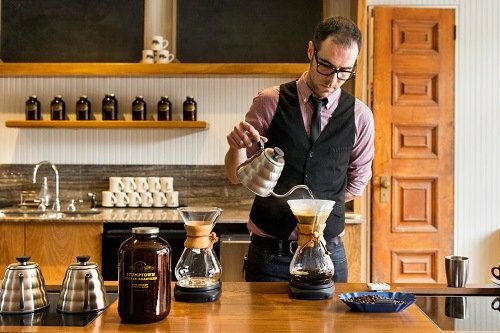 What Are The Best Methods of Brewing Coffee? Here’s a quick look at top five coffee brewing methods you would come across to give you a good idea about what actually ends in your cup. Continue reading to find out more. Chemex is one of the most popular coffee brewing methods. It was originally created in the 1940s and has made a strong comeback in the past few years. 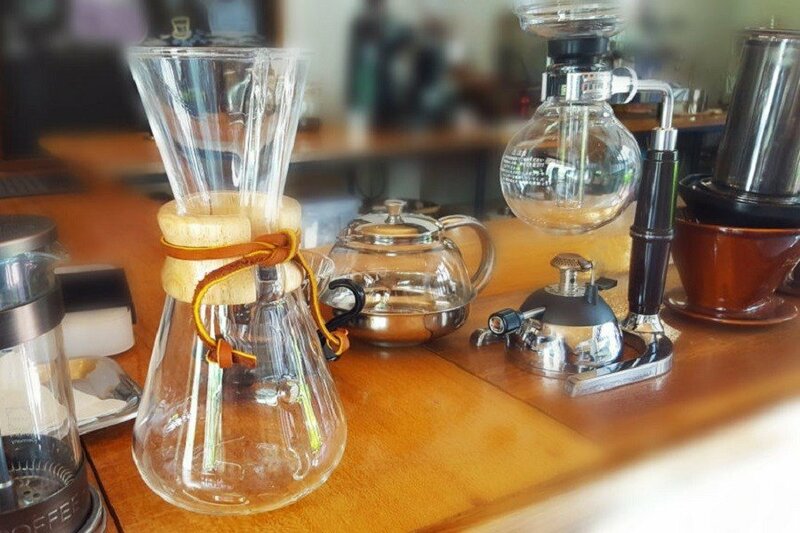 If you have a look at Chemex coffee brewing method, you would find it to be exactly similar to a standard drip machine. The method involves pouring hot water over ground coffee but here’s an exciting twist. The Chemex brewing method is special because it requires a filter that is three times thicker than the standard. As a result, you get coffee that is purer, smoother and thicker than that you would get from a standard drip machine. The Chemex coffee brewing method is also preferred for the fact that the Chemex machine keeps your hot water at a steady temperature i.e. 180 – 200 degrees. Remember that if your water is hotter or colder, it will chemically alter the taste of your coffee brew. To guarantee the best results with Chemex, grind your coffee beans more coarsely and pat special attention to the pour rate. The amount of coffee and water you use will vary depending on the type of coffee you are brewing and of course, the preferred strength. Start with 46g of coffee and about 700g of water. 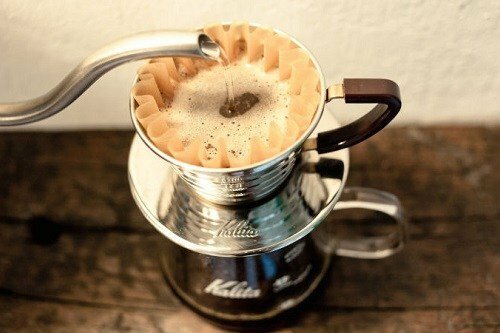 Unfold your filter paper and place it in the Chemex – the triple fold section should face the pour spout and lay across. Rinse the filter paper with hot water (at about 202 degrees). This water should be discarded through the pour spout. Pour ground coffee into the filter paper and gently shake it. Starting at the center, pour twice the amount of water in comparison to the coffee grounds you have. For example if you have 25g of coffee, pour 50g of water. This water will cause the coffee to expand or bloom. You should always pour water in gentle spiral motion. After the initial bloom, pour the remaining amount of water. 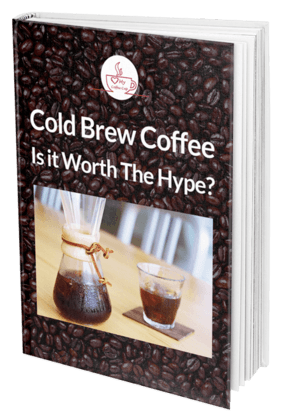 Cold brew method is similar to the French Press method. However, it uses cold water instead of hot water. Coffee grounds are steeped up to 12 hours and the finished product you get is a flavorful cup of coffee. 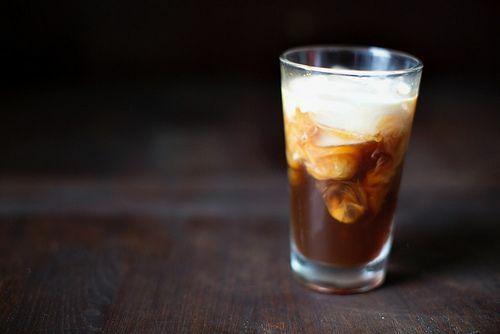 It is seen that the cold brew method gives a crisper, sweeter cup of coffee than the usual dark roast cup we are used to. This is because cool water dissolves the sweeter aromatic components in coffee and takes away the acidic content, which would make your coffee bitter. Cold brewing method is ideal for people who suffer from heartburn or acid reflux disease. However, you should remember that it is not an instant process. Interestingly it can take a long time – 12 to 24 hours for cold brewing but the resulting flavor and profile of the brewed coffee makes the wait totally worth it. 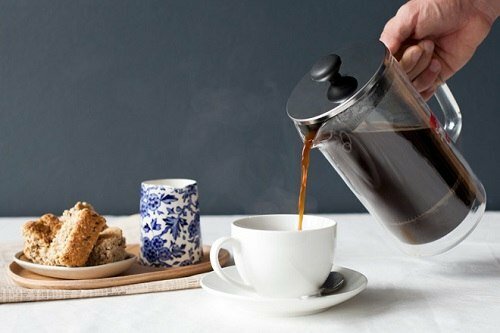 French press can be one of the best bets when it comes to easy coffee brewing methods. In fact, it is ideal for people who are always on the go. If you want to brew some coffee, all you have to do is throw some coffee grounds in the pitcher and add hot water. Wait for about 5 minutes and then push the strainer down to enjoy a flavorful cup of freshly brewed coffee. As you can guess, the longer you leave your coffee grounds soaked in hot water, the more caffeine content will be present in your cup of coffee. This should be good news for coffee lovers who are looking for a serious morning wake up call. You will need 8 tablespoons of fresh coffee in addition to 8 cup French Press and hot water maintained at 205 degrees Fahrenheit. Warm up your French Press by rinsing it with hot water – this ensures best extraction. Grind about 56g of coffee coarsely and place it in the French Press. Fill the container halfway with hot water and use a wooden spoon to stir the mixture. Now fill the French Press to the top with water and allow the fresh coffee to brew. Let the container rest for about 4 to 5 minutes and when you are ready, simply push the French Press all the way down. Pour coffee into your cup immediately because if the coffee grounds remain soaked for too long, they continue to extract and become bitter. Known as the granddaddy of coffee brewing methods, a standard drip method involves pouring hot water over coffee grounds in an automatic machine. The method is quite simple and is preferred by coffee lovers around the world. If you are looking for one of the fastest, easy yet traditional coffee brewing methods, standard drip is the one you should go for. Studies show that standard drip is also one of the healthiest coffee brewing methods. The filter in the automatic machine absorbs most of the natural oils that can spike your cholesterol levels. Perhaps the only disadvantage is that the filter placed at the top can also absorb the flavorful chemicals that give coffee the bold flavor. 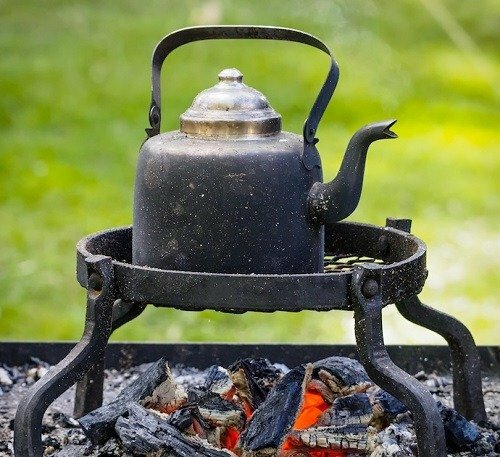 This quickest coffee brewing method is popularized by campers and backpackers. All you have to do is heat coffee beans and water over a small steady flame and just before the water starts boiling, you have to sprinkle a handful of cool water into the pot and pour the coffee brew straight into the coffee mugs. The good thing about the cowboy method is that in addition to being quick, and cheap, it packs a serious punch to your cup of coffee.